Wednesday, July 18th, the church family of St. Michaels was privileged and honored to share lunch with the men and women of the Anniston Police Department. 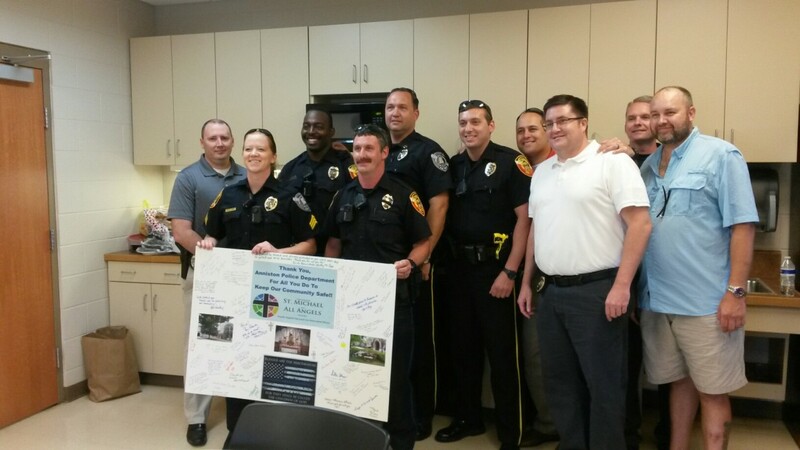 We presented a poster signed by the St. Michaels family to the officers as a token of our appreciation and support of the job they do every day. Thank you to everyone that supported this effort. We pray for divine protection upon all of the officers, their staff, and their families as they step out on faith each day to watch over all of us. Words are not enough to describe how sincerely we appreciate their service to us and our community.